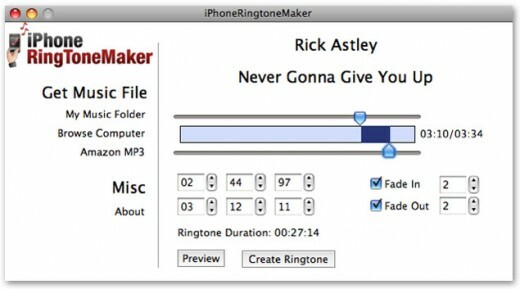 I found iPhone Ring Tone Maker to be one of the simplest things I’ve used on my Mac since the power button. Select any DRM free song from your library with the RingToneMaker and simply cue up the section of the song you want as your ringtone, slide and go. The software allows you to adjust a fade in and fade out with accuracy to one hundredth of a second with a :30 max length ring tone preset. Preview your selection, click create ring tone and seconds later your clip is ready for exporting to iTunes. It’s that easy to set up getting “Rick Rolled” by your own custom ringtone call after call with Rick Astley singing “Never Gonna Give You Up”. The Efiko software sells for a mere $7.95 US. 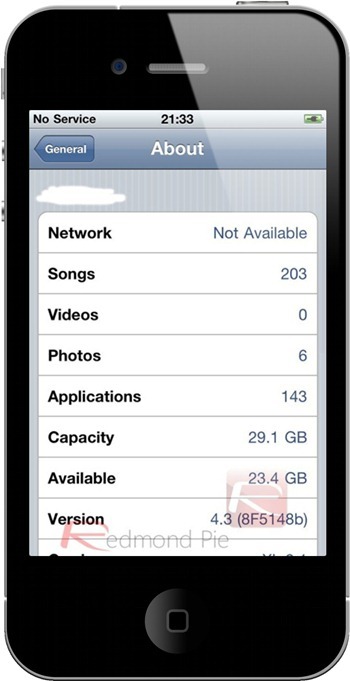 I’ve used Garage Band to make iPhone ring tones for free but it takes completing several steps. If you like down and dirty, cheap and easy (like most of the girls you date) then you’ll appreciate the brains behind iPhone Ring Tone Maker. 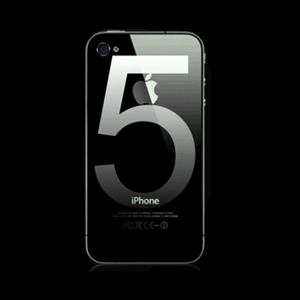 It’s the iPhone Savior’s pick for simplicity.